Military Members - Did you know that you and your family can get into Sea World for FREE? This offer is available until Dec 31, 2015. 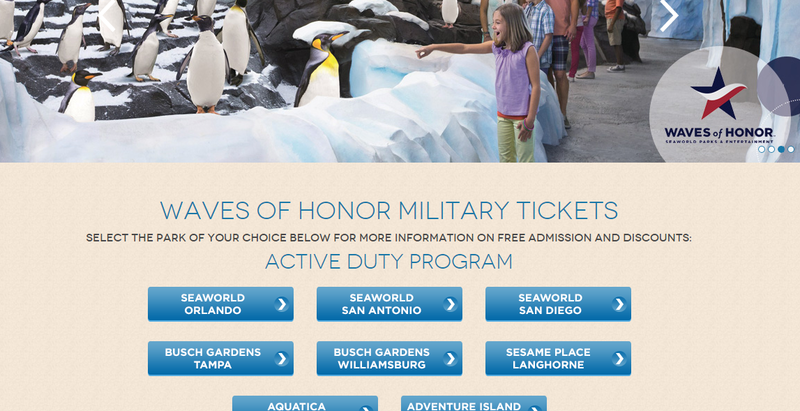 Since 2009 Busch Gardens/Sea World Adventure Parks has given away free admission to Military Members. Over the last 3 years, my family and I have attended Sea World for free. We've gone to the locations in San Diego and San Antonio. 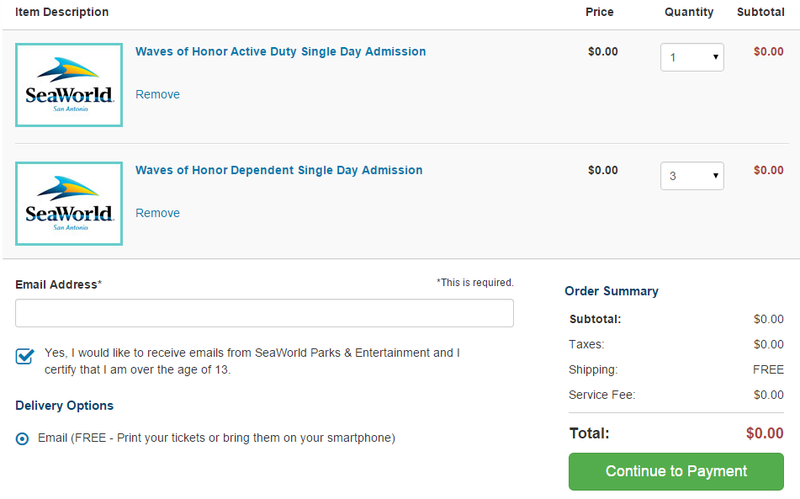 Tickets to Sea World can cost up to $92 per person. With this military offer you can save up to $360! Most likely! If you are Active duty, Activated Reservist, Drilling Reservist or National Guard you qualify!! Also you can bring in 3 direct dependents for FREE. If you are serving oversees, your family can still attend without you for free. There is a 30% discount for veterans, read more below to find out more. 2.) What parks can I attend beside Sea World? 3.) What do I need to bring? You need to bring a valid military ID. If you are bringing dependents over age 10, they need to bring their valid military dependent ID's also. If they are younger then 10 they just need to be accompanied by an adult. 4.) Are there discounts for Veterans? Yes! Veterans get a 30% discount!! Click HERE for the Veteran Special. 2.) Click on the Location you would like to Visit. Then click on the "TroopID" icon to sign in. 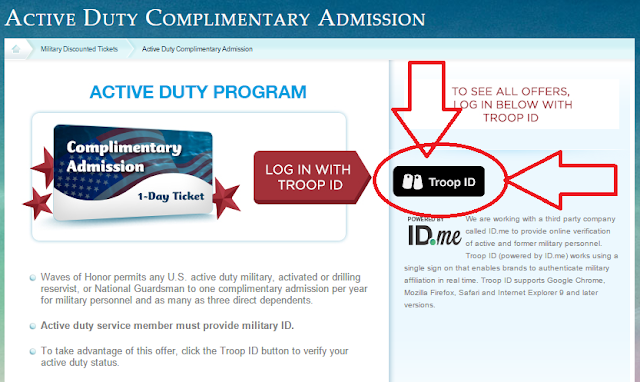 If you don't have a TroopID account you will need to make one. 9.) You can then print your tickets or just use your smart phone as your tickets. DONE!! !